Power Solutions, LLC offers Standby Generators and Temporary Power with our line of UPS Rentals, Generator Rentals, and Used Generators for purchase, to meet your uptime needs. 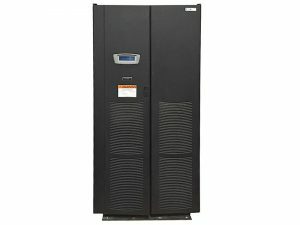 If your facility needs high quality UPS and generators to rent or buy, we have the solution. Our experienced sales team and dedicated engineers specialize in finding the right UPS or generator for your application. With a wide inventory of UPS and Generators, Power Solutions can meet your immediate and future needs in the form of options to buyback, lease, buy or rent units from the highest quality manufacturers in the world. For high power demand or critical facility backup, Power Solutions has temporary power rental options available for just about any requirement – nationwide. The power of choice with our vendor neutral inventory allows us to offer you a variety of top manufacturers that best fit the application, cost or time frame. Our rental inventory includes diesel generators, natural gas generators, UPS trailers, UPS indoor systems, and additional critical power equipment. 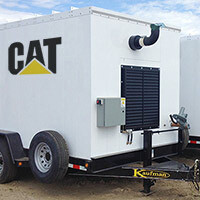 Whether the requirement is a trailer mounted UPS, an emissions compliant diesel generator in a sound attenuated enclosure, or an open skid natural gas generator for prime power, we have units in stock and are prepared to roll to your facility. Dealing with unexpected or planned outages requires an engineered solution from experienced power generation specialists. Contact us for solutions that deliver power when and where you need it. call us at 800-876-9373 or email sales@power-solutions.com. 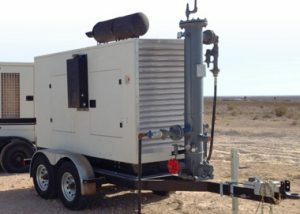 In addition to our used industrial generators, Power Solutions is a full service provider of power systems, as well as diesel and natural gas industrial generators and UPS's for rent. Our in-stock inventory contains generators in a wide variety of packages from 60kW to 4000kW to rent or purchase to meet your temporary power needs. We provide reliable on-site industrial, 3-phase UPS Rentals with sizes ranging from 10kVA to 1MVA. Our expertise, and vendor-neutral product flexibility, allows us to offer you the best solutions and support for your mission critical infrastructure. For high power demand or critical facility backup, Power Solutions has generator rental options available for just about any requirement - nationwide. Our vendor-neutral inventory allows us to offer you a variety of top manufacturers that best fit your application, cost or timeframe.